David Yazbek and Robert Horn's Broadway musical adaptation of the Oscar-winning film Tootsie is one of the most highly-anticipated shows of 2019, and it can't arrive soon enough. Tony Award nominee and Broadway chameleon Santino Fontana leads the company as Michael Dorsey/Dorothy Michaels, the consistently out-of-work actor who finds stardom creating a secret female persona. Previews for the new musical comedy begin March 29 at Broadway's Marquis Theatre. 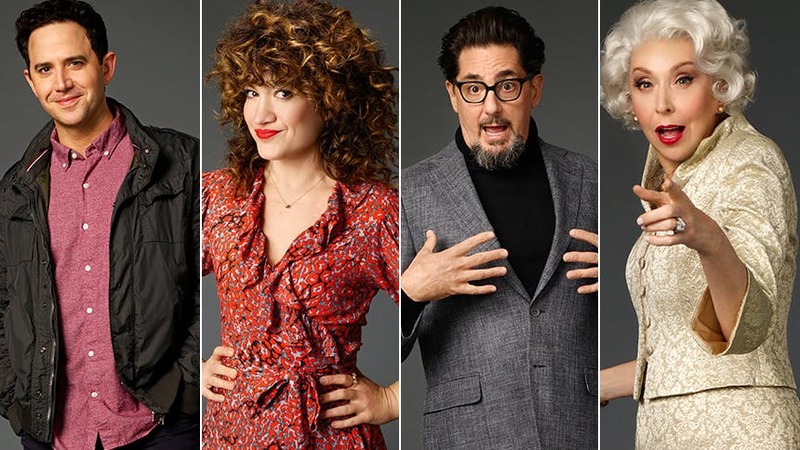 To get fans pumped for Broadway's Tootsie, AKA NYC released these LOL character portraits of the principal cast, and we're obsessed. Scroll on to see each of the Tootsie stars in costume and get ready to chuckle at their mini character bios. Mark your calendars for Tootsie on Broadway, beginning at the Marquis Theatre on March 29, 2019.